You loose it. Simple, right? 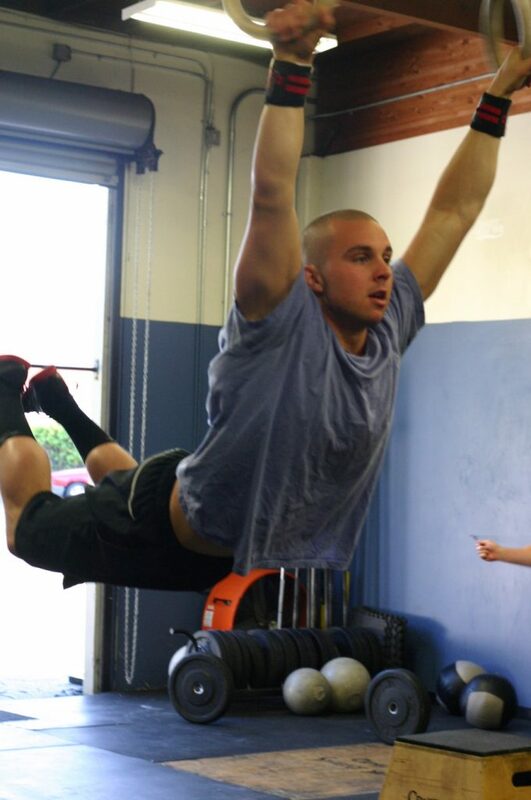 This post is dedicated to all who have recently…..or maybe in the distant past…gotten either muscle ups, pull-ups, or handstand pushups, and are going through a little skill hang-over and either forgot how to do them or are still stuck and can’t quite progress to do them consistently in workouts. It’s quite simple, the more you do them, the better. However, with the WOD as the focus, we can get sidetracked and miss opportunities to practice them…..or you just probably to nervous to keep practicing in fear of missing them ;). So how should I go about using the skills in class? If you are almost there and just need a little assistance with a band or a spot from a coach, KEEP DOING IT. Over and over until you don’t know what it’s like to fail. Don’t be afraid to ask coaches to spot as it is one of the best tools! Do them every chance you can. Now, once you have them, should you be doing them in workouts or as just accessory before or after the workout? It depends on where you are at. While this applies to all skills, I’ll use pull-ups as an example. If you recently got the strength and rhythm down enough to do 1 unassisted pull-up, your best bet is doing a majority of your work as accessory after class or during strength in between lifts. This way you can work on them without a big time crunch and under little fatigue. If you are doing back squats or deadlifts, a good opportunity to work on them is during those rest periods. However, during longer and higher intense workouts, it’s best to scale down and give yourself some banded assistance to be able to move through them a little quicker (3-7 reps unbroken). With this method, you’ll still get a ton of unassisted reps in class while also maintaining intensity during your workout through using a band. If you are able to link 3-5 unassisted pull-ups consistently but you crash out when trying to do higher volume pull-up workouts, you’ll still want that accessory work. However, rather than banding up during the workout, just simply scale the amount of pull-ups per set. A nice scaling guide is being able to do sets of pull-ups in 2 sets or less consistently thoughout the WOD. This way, you are getting your full ROM, unassisted reps in and doing them in a manageable amount to maintain workout intensity. For all you muscle uppers who practice them all the time but are just worried to do the beefy or advanced amount of muscle ups in the workouts, just scale them down, even if just 1 rep per round, so you get a feel for doing them in workouts. For competitors who have a decent amount of pull-ups or other skills unbroken, work still needs to be done in order to keep improving. It’s all about increasing your volume. Some really good formats I’ve seen useful are the “Death by” format. An example of this is starting at 5 pull-ups and each minute add 1 rep until you cannot perform the amount within the minute. These are good baselines to see at which rep count do you start getting stuck, and then work from there. If you start to get fatigued when there are 30 pull-ups in a workout, it’s clear you need to do more than 30 in a session to make progress. Every minute on the minute formats are good to in allotted yourself a comfortably number of pull-ups within a minute and each week go up. For more ideas on how to maintain or breakthrough your skill barrier, ask your coaches! Great post JB, and some really good tips… especially on the difference between being able to do a skill, and being able to do it within a workout! Scaling the volume (i.e. reducing the number of pullups or muscle ups) so that you can still do them unassisted in a workout, and stay within the desired time domain is much more important than insisting on doing the workout as written on the board when the result is often sloppier mechanics and a much longer time domain than what was intended.